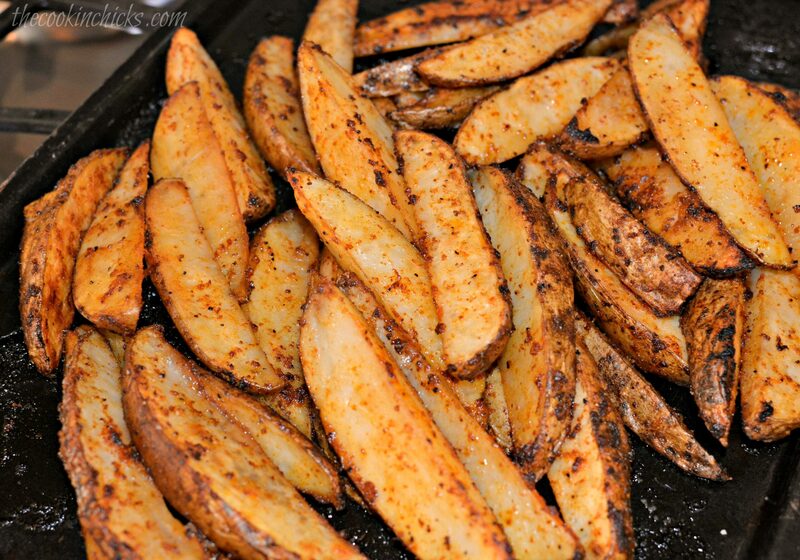 One of my favorite side dishes with dinner, is potatoes! 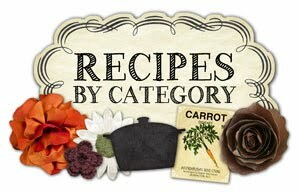 There are so many different varieties, so you can really change flavors and play around with combos. This past week, I went through the my pantry and noticed I had half a bag of potatoes to use up. Since I didn’t feel like making mashed potatoes, smashed potatoes, or even fries (frying can be a pain, haha), I opted for wedges!! 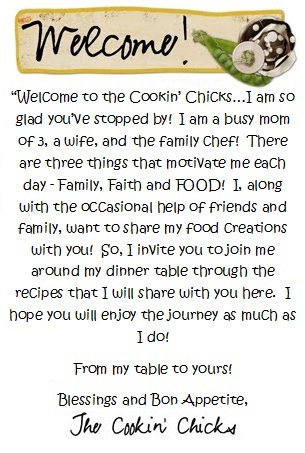 I had never made them before, so I found myself on YouTube watching how to even cut a potato into a wedge, LOL!! Once I got through the cutting stage (don’t worry, I walk you through it below), I played around with some spices and the end result was fabulous!! My family loves garlic, so I added some to this and it really enhanced the flavor. If you love potatoes, I highly recommend these wedges. Very similar to fries, only baked and a bit thicker!! Play around with your favorite seasonings and be sure to let me know what you think!! 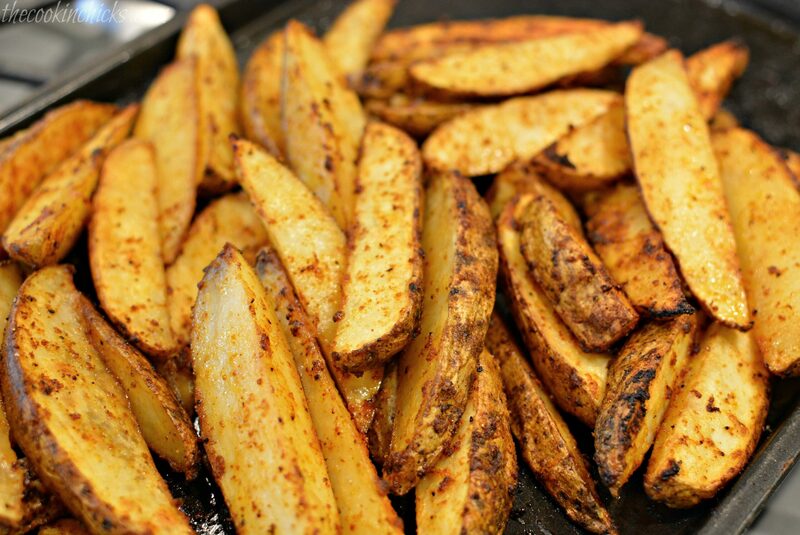 *To cut wedges, slice potato in half lengthwise. Take those halves and cut them into thirds. This will give you 6 “wedges” per potato. A seasoned potato that is easy to prep, bursting with flavor, and a family favorite!! 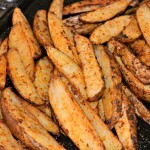 In a large Ziploc bag, add the olive oil, garlic powder, seasoned salt, black pepper, onion powder, and wedged potatoes. Seal bag and shake around until coated evenly. Open bag and empty onto a cookie sheet sprayed with baking spray. Evenly spread wedges to create single layer. Sprinkle Parmesan cheese evenly on top of wedges and place cookie sheet in the oven. Remove from oven and serve with ketchup if desired. Enjoy! !